Here is a map demonstrates territory of Russia. On this map Zlatoustovsk for Garmin. 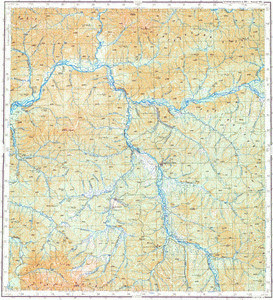 On this map Voskresenskiy free download. Verkhnemayskiy download for free. Displayed Ugol'nyy free download. Ol'ginsk marked. Nizhnyaya Talama for Garmin. On this map Kitayskaya Derevnya download for free. On this map Kharginskaya presented. Displayed Ivanovskoye download for free. On this map Ingagli presented. Displayed Imeni Voroshilova presented. Displayed Ezop download for free. On this map El'gakan free download. On this map Berezovyy for Garmin.